Lake Atitlan is my favorite lake in the world! Why because it has 12 towns around it and each one has its beauty. * Atitlan means "At the water"
* German explorer Alexander von Humbolt was the earliest prominent foreigner generally quoted as calling it "the most beautiful lake in the world." * Atitlan is recognized to be the deepest lake in Central America with maximum depth about 340 meters. * Mayans grow coffee, onion, beans, squash, tomatoes, cucumbers, garlic, green pepers, strawberries, avocados and pitahaya fruit. This enchanting lake, formed after a massive eruption over 100,000 years ago, has huge significance for the Mayans, and features prominently in their holy book of the creation, Popul Wuj. Framed by three perfectly shaped volcanoes and verdant high hills, with ever-changing blues in both sky and lake, it is easy to see how Aldous Huxley dubbed this 'the most beautiful lake in the world'. A dozen indigenous villages ring the lake, each with its own distinctive weave. This area of the highlands is one of the few places where both men and women wear traditional clothes and is a highlight of any visit to Guatemala. 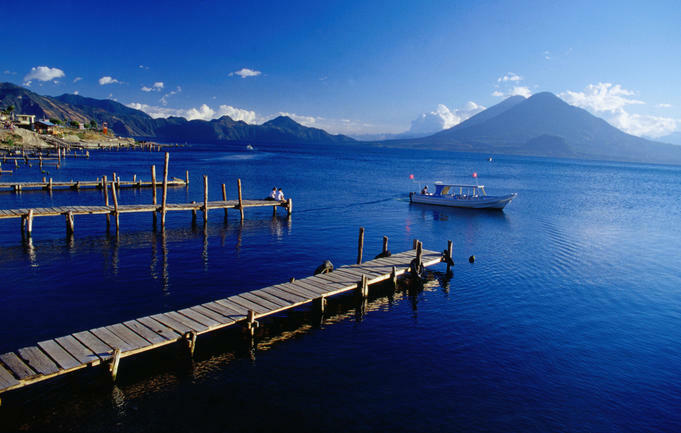 Lake Atitlan is famous for its natural beauty and colorful Mayan villages. A private lancha can be arranged to visit villages around the lake, or just stroll to the nearest public jetty and negotiate your own. This is also the best way to really marvel at the extraordinary beauty of the lake. Casa Palopo is in the village of Santa Catarina Palopo known for its weaving and distinctive blue textiles; next door San Antonio Palopo has ceramics. San Marcos is renowned for its alternative therapies and massages. Santiago Atitlan has very colourful traditional garb, a fascinating church, and the shrine of the god Maximon, to inspect. 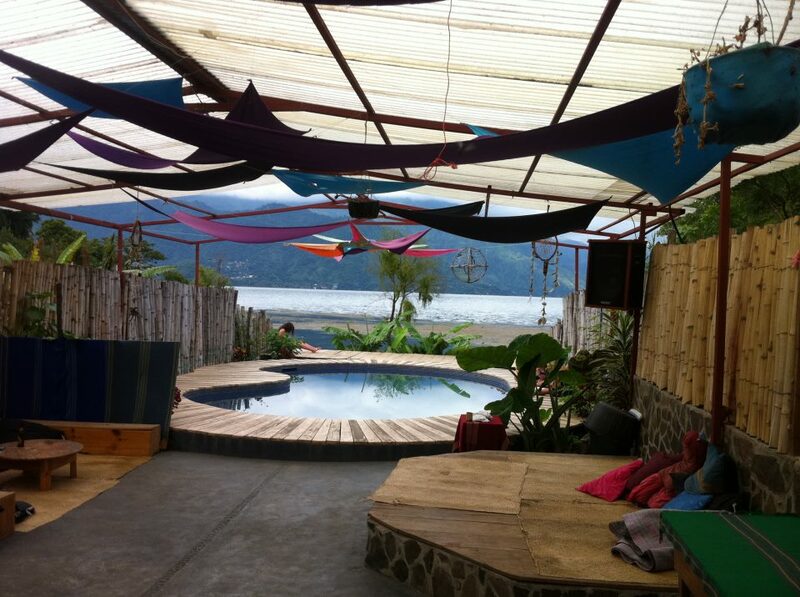 Evangelistic San Pedro La Laguna is the new centre for backpackers, with internet cafes and language schools; it takes over from the gateway town of Panajachel, which also has many tour operators, restaurants and bars.